Social media management is a demanding job. It has different facets that can help your business to grow. But you don’t have enough time to focus on all those aspects in a single day. 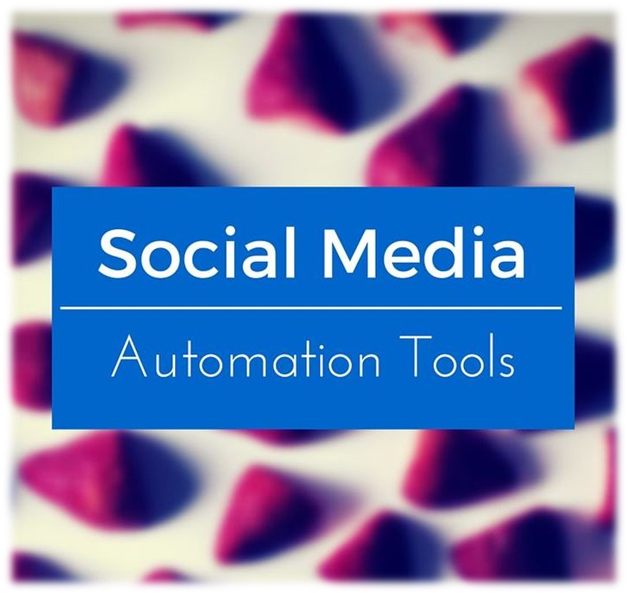 To make this job easier, there are plenty of social media automation tools that can streamline your day-to-day tasks. So you don’t have to waste your time in the micro activities and you are able to channel your energies on more valuable and beneficial aspects. One of the best social media automation tools, Hootsuite has multiple features that make it possible for you to manage your entire daily activities at one place. The best thing about this app is that you can add multiple accounts that include Facebook, Twitter, Instagram, LinkedIn, YouTube, and Google Plus. It has a simple interface so anyone can use it without any hassles. Additionally, you can perform different types of tasks. For example, you can trace the mentions, check comments, and reply to messages. Created in 2008, this tool has more than 15 million of users. HubSpot is the best thing that has ever happened to the social media marketers. This all-inclusive tool is a handy tool for digital marketers who want to get the best of their efforts. For those hungry marketers, this tool offers an all-in-one solution. With this tool, you can publish your posts, check their traction, monitor the conversations of your social audience and answer their queries. In addition, you can check the data about your posts and measure the engagement rate of your social audience. Imagine you can publish your posts on different accounts, check the mentions, respond to messages, and make new followers without sticking to your Twitter handle and you can do all these tasks for free. What make TweetDeck a more functional tool are the multiple columns where you can see the conversations in real-time as well as reply to your followers. All in one place! One of the best social media scheduling tools, Buffer empower you to set the date and time of your future post and it will make them live while you are busy in other things. In addition, you can use this tool to manage your different social media accounts. This app also enables you to know the analytics of your social media marketing as you can learn about the pattern of your social media audience. So you are in more control of how to create your posts and when to publish them. One of the most powerful social media automation tools, Sprout Social is special when it comes to managing your social presence. It is a versatile tool that offers you a range of features including social media engagement, social media analytics, and social media customer service. Additionally, you can integrate this tool with many social media websites that include Twitter, Facebook, Google Plus, and LinkedIn. Coschedule is a tool for busy digital marketers to plan their social media posts. It allows them to publish posts at their chosen time. So you are able to pace your social media marketing and get more results in less time. In a nutshell, it is a marketing calendar where you can put your entire content and make it available to your social media audience at the right time. You can also use co-schedule to get the vital data and metrics about your social media marketing campaigns so that you can track the results of your marketing campaigns. Want to reshare the best content your social audience? Let MeetEdgar be your companion in this journey. MeetEdgar is a tool that automatically picks your best content and shares it with your audience. All you need to do is categorize your content in the library and it will share the content. Once the library is empty, it will automatically refill it with the old content that the audience is going to like and share with their network. The aforementioned are some of the best tools you can use to organize and manage your social media marketing. Hopefully, these tools will make your job easier and manageable in the future. Anna Marsh is a Digital Marketer, Educator, and a Blogger. In addition, she is known for the best professional among students to serve essay help UK.Being an active online marketer, she keeps himself updated with the current technological trends and shares her insights with her audience as well.You can reach her through Google Plus, Twitter, and Facebook. Thank you so much for sharing this beautiful blog.I do stop by here whenever I need some information regarding something which is explained very nicely.Do keep sharing more posts often.I do find the information shared here very useful.